Home > News > Why Should I Switch My Energy Supplier? With the energy market being as competitive as ever, there is now a wide range of different business energy suppliers. Whether you’re currently with one of the ‘Big Six’ or a smaller energy supplier, each offers an array of tariffs, contract lengths and pricing structures so finding the right one for your business can feel like a daunting task. If you run a business, your energy supply is probably quite far down the list of priorities on a day to day basis. 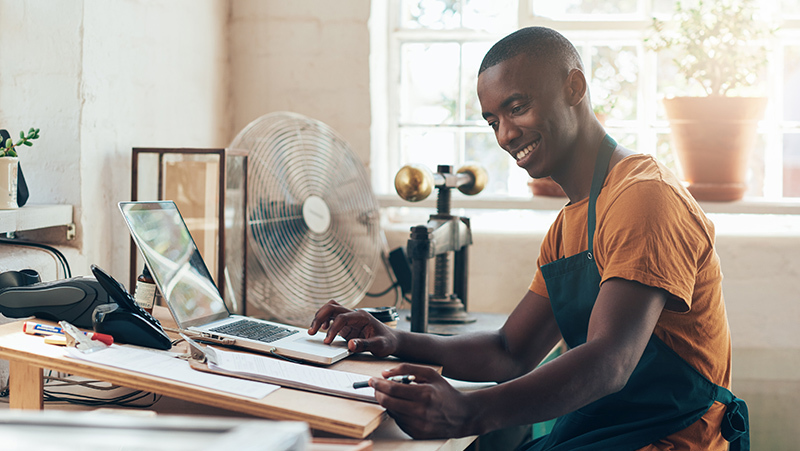 Many businesses choose to stick with their existing supplier for ease, but with so many alternative options out there, it can be well worth shopping around to find the best plan. There has been an 11% increase in UK energy switching from September 2017 to September 2018 (Energy Live News) showing that people are becoming much more aware of the benefits of switching. Don’t wait to switch your energy supplier, there are several reasons why spending a little bit of time switching now could save you a lot of time and money for your business. IS THERE A ‘RIGHT TIME’ TO SWITCH YOUR ENERGY PROVIDER? Simply put, no. People usually switch their provider when their contract is due for renewal, but if you’re already out of contract and waiting for the best deal for you, what are you waiting for? Ideally before you switch, it’s good to know what drives gas and electricity prices. Only around 40% of your electricity bill and 50% of your gas bill is the commodity cost. The remaining 50%-60% is made up of taxes, charges and other non-commodity costs e.g. Government scheme levies, transportation and third-party charges. Commodity costs can fluctuate depending on a number of factors; supply and demand (e.g. more electricity needed in winter), stress events (such as cracks in oil pipelines and explosions at gas hubs) and import/export issues (e.g. changes in the value of currency). Non-commodity costs can increase or decrease prices too, for example if the Government decides to implement a new scheme then it can have a knock-on effect to the final customer bill. In a nutshell, these fluctuations are not predictable and although there is usually a slight seasonal trend, there is never a ‘right time’ to switch your supplier. You could end up paying out-of-contract rates which tend to be higher than other tariffs, so don’t wait to switch. Suppliers make switching as simple as possible for your business. As all the cables connecting your premises to the supply of energy are owned and managed by the National Grid, the only thing that changes for you is your invoicing terms. Speak to a few suppliers and find the best plan for you. Your current supplier might not offer you the best deal, so by using your current prices as a benchmark you can see how other companies compare. Read your meter regularly so you can build up a picture of the amount of gas or electricity you use. Suppliers can then give you more accurate quotes so you can find the best plan for your business. Make sure you know your current contract terms. You should know your contract end date which should give you a time period when you are able to tell your current supplier that you would like to switch. If you know these details, you are less likely to be ‘rolled over’ on your contract, or put on to ‘out-of-contract rates’. Our friendly team would be more than happy to speak to you and find the best plan for your business. We’ve made switching as simple as possible, allowing you to focus on your business. You can contact us on 0115 975 8258 or visit our website to get a quote today. Receive your quote, agree on a contract and get in contact with your existing supplier to ensure bills are paid and you’re within your transfer window. We’ll inform your current supplier of the switch, you’ll just need to complete our Letter of Authority and email to us. It’s as simple as that! Your energy supply will be switched over on your agreed transfer day and your contract with Yü Energy will commence! For more information on switching, please visit our Switching page or call us on 0115 975 8258 today.